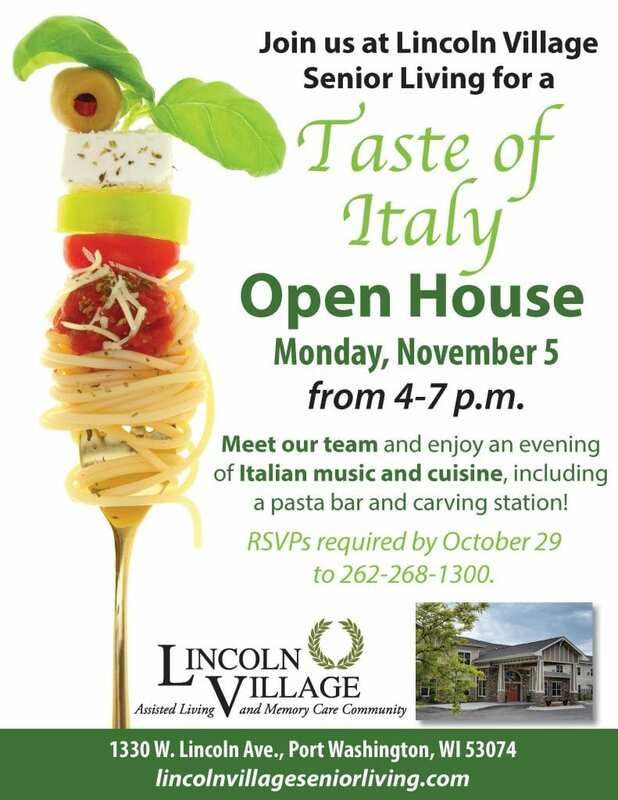 Join us at Lincoln Village Senior Living on Monday, November 5, from 4-7 p.m. for a taste of Italy! Meet our team and enjoy an evening of Italian music and cuisine, including a pasta bar and carving station. RSVPs are required by October 29 to 262-268-1300.